By simply joining one of the Federation’s affiliate associations, you become a member of the Federation. Memberships in any of the affiliate associations processed, prior to the early conference registration deadline, will entitle the registrant to receive the ‘member discount’. 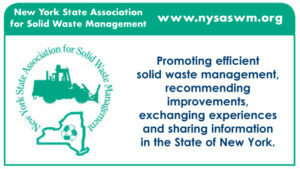 The Federation of New York Solid Waste Associations and its affiliates have collectively established Bylaws to provide a framework for its operation and management.